Size: Trilobite is 2.5 inches long! This is one of the best Ceraurus trilobites we have ever seen. It is a spectacular Leviceraurus mammiloides from Ontario, Canada. We recently acquired this incredible specimen, unprepared, from a major trilobite collector. This trilobite required meticulous preparation under a microscope in the EXTINCTIONS Prep Lab here in Colorado. First, the bug is huge for the type - two and a half inches long! The trilobite is wonderfully articulated and almost perfectly prone. The thick shell exoskeleton is amazingly well-preserved, and the detail is stunning. 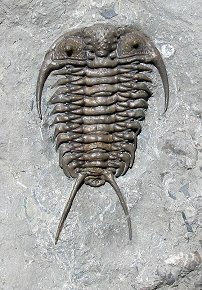 The trilobite is beautifully centered on the large, rectangular block of limestone, not on the edge of some odd-shaped rock. 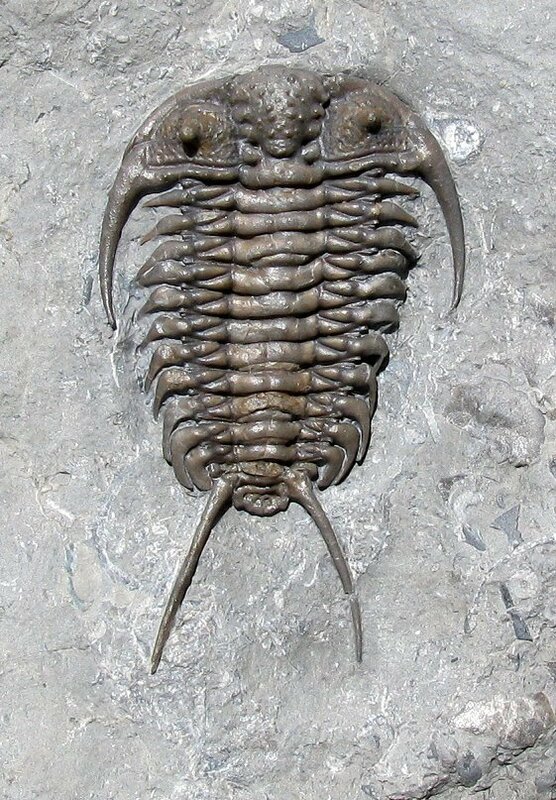 This is one of the most impressive Canadian trilobites we have ever had. It is a super display piece - an eye-popping example of this collectible type of Ceraurus.